Sreebhumi Sporting Club 2018 Durga Puja Theme- (Padmavat): One of the Most Historical and Superable Durga Puja Theme were made by This Club in the Kolkata called Sreebhumi Sporting Club. This Club has something special by which Viewers are attracted. Every years people want to know what Themes they are making. So if you want to know Which Theme They are Making This year then you are in the Right place. Because here we going to Share Sreebhumi Sporting Club 2018 Durga Puja Theme. 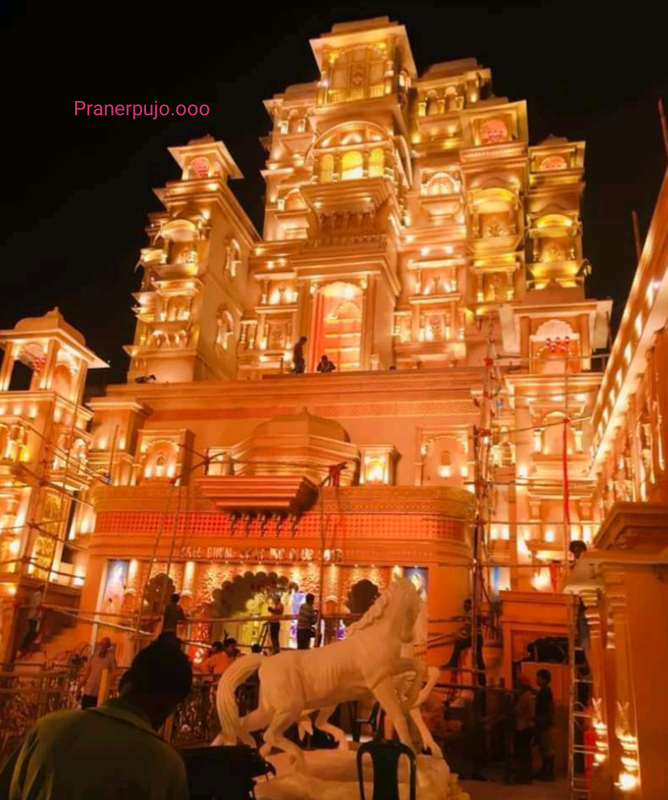 We are sure that by this "Sreebhumi Sporting Club 2018 Durga Puja Theme- Padmavat" Article you will Feel the Puja in too advanced. After Making a History in 2017 by making The Bahubali Theme worth Rs-10 cr. This year they are going to make one more Record Breaking Durga Puja Theme through their Padmavat Theme. Padmavat is also Made history in the Bollywood. 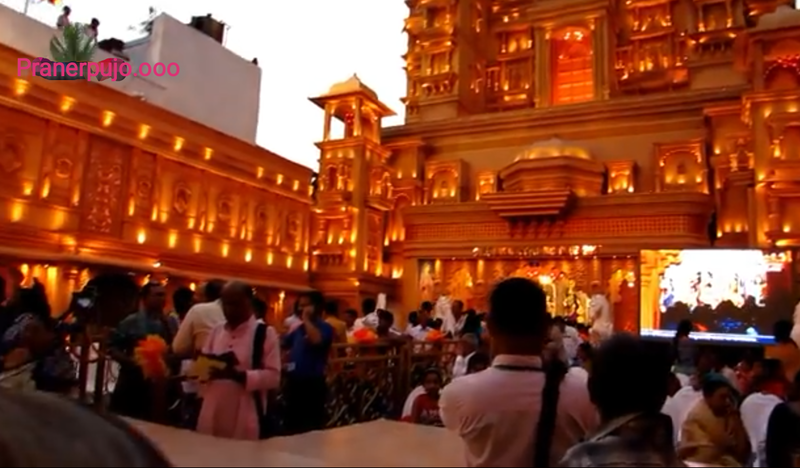 Following this they are going to show Something Special in this year by this Padmavat Theme. 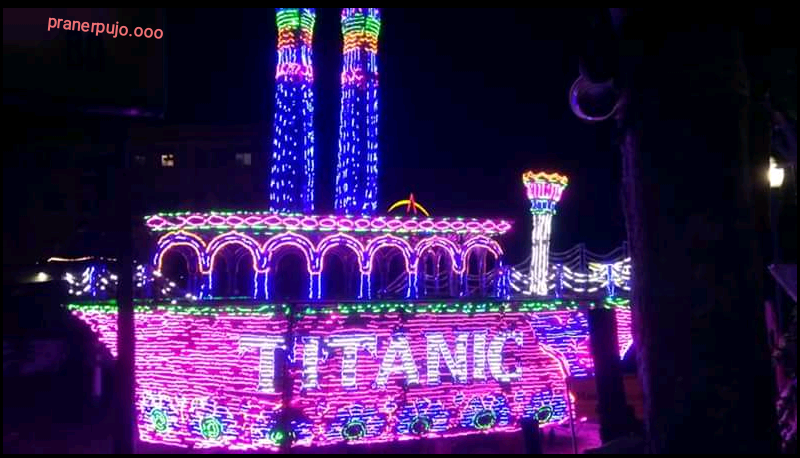 This Club was get more fame Because of their Previous year Theme - Bahubali. Now they are thinking this Padmavat Theme will give their more things. 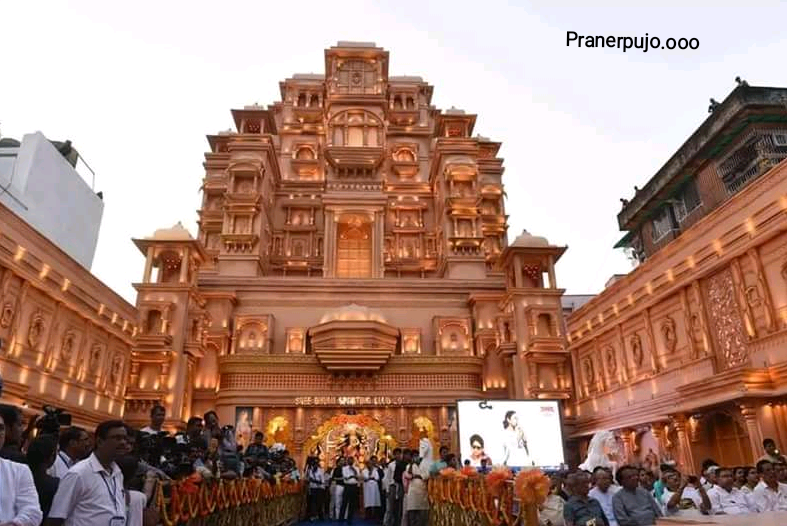 Sreebhumi Sporting Club 2018 Durga Puja Theme- "Padmavat"
After Getting success in Previous year Bahubali Theme now this year They are going to show us The Theme of Padmavat film. This Film were made a Fabulous Success not only Bollywood but also the other film industry. So inspiring from them this year they are Decided to make This film's Theme. 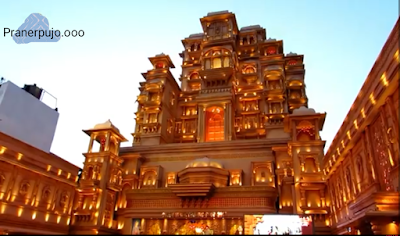 Sreebhumi Sporting Club is always famous for their Filmy Puja Theme concepts, they are made History by Bahubali Theme in 2017. Now it's the time of "Padmavat". 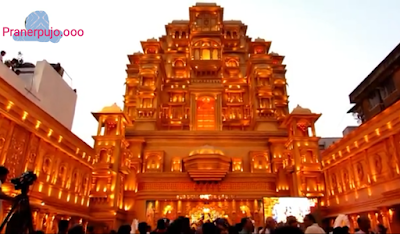 Sreebhumi has always a special power of Idea to make the right Pandels for Audience. They have always a Filmy mind after getting success in Bahubali Pandel. But Sreebhumi Sporting Club's Savapati says that after watching the film of Padmavat by Deepika padukone, sahid Kapoor and Ranveer Singh, they are Decide to make this Durga Puja Theme. He also said that Deepika's Acting Inspire them so much like a real Maa Durga. That the reason of this Padmavat Theme. The Special attractions in this Pandels is The Statue of Durga Maa is Decorating like Padmavati means like Deepika in this movie. Maa Durga's Statue Decorate with same kind of Saree and Jewelleries. 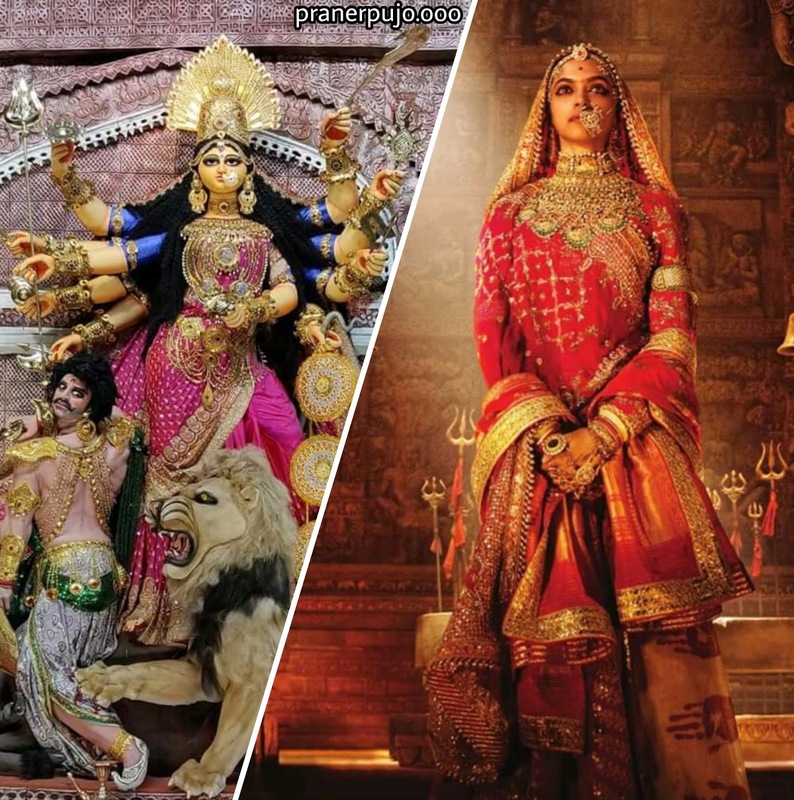 When you will entering the Pandel first you will see the Setting of Padmavat in the Pandels then inside the Pandel you will find the The Heroin of Padmavat film or Padmavati means the statue of Maa Durga which is like the Padmavati. The saree of the Durga Maa is Specially decorated which is so much Expensive. Sreebhumi's Padmavat Pandel made with Plywood. 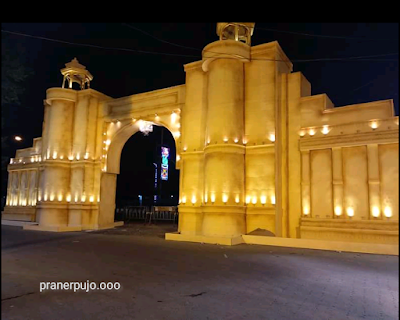 The Pandel is decorated with some special settings of light which make the Pandel supreme in the night with the golden colour touch. In the Padmavat Pandel's side they are also made the Titanic Ship with the help of some special Lighting Effects. TMC legislator Sujit Bose said, "Padmavat was one of the most controversial films this year. West Bengal Chief Minister Mamta Banerjee had given permission to release the film. That's why this time we are preparing to make the pandal of Durga puja like Padmavat. Despite being filled with controversy by Sanjay Leela Bhansali, the performance of Deepika Padukone, Ranveer Singh and Shahid Kapoor in the box office was highly appreciated. So Friends this is the Sreebhumi Sporting Club 2018 Durga Puja Theme- Padmavat. We hope you like this post and felt advance Puja. 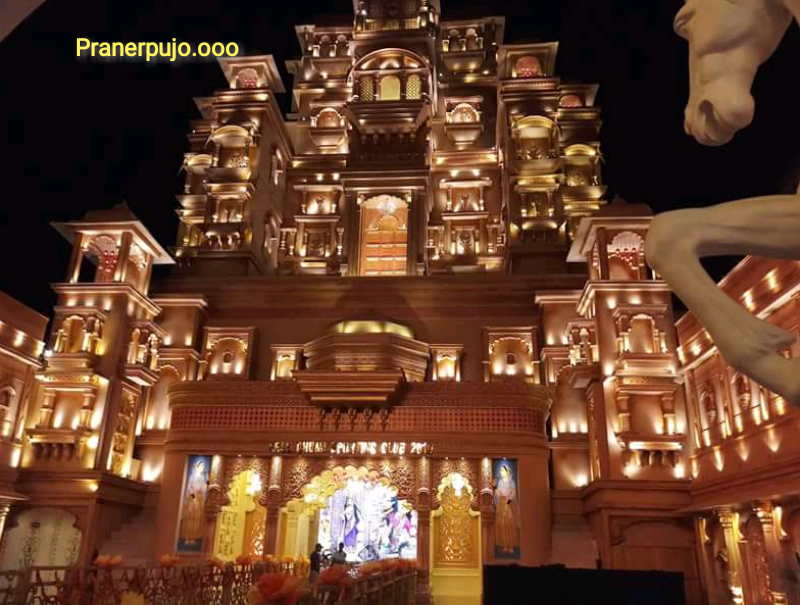 If you like this Sreebhumi Sporting Club 2018 Durga Puja Theme- Padmavat post then Do share with your Friends and Family and make their Puja so Great.